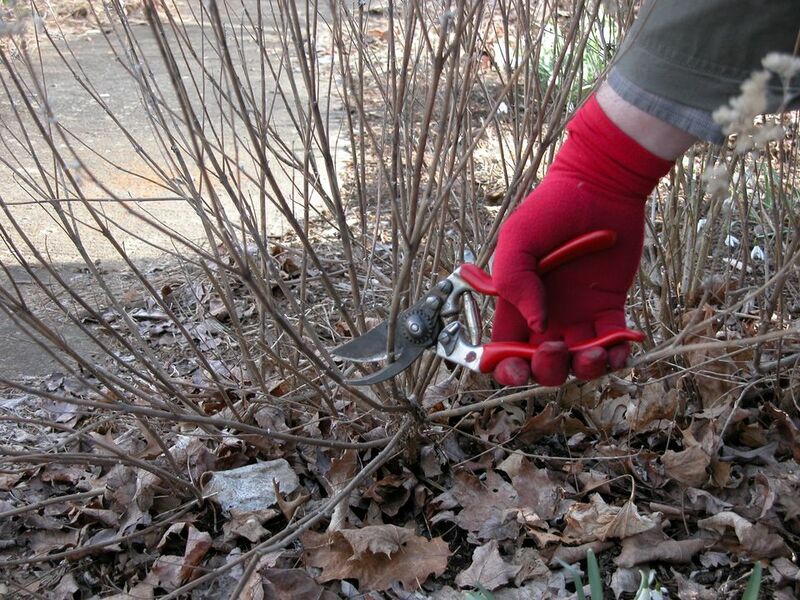 What Shrubs Should be Pruned in Spring? Home Flowering Trees What Shrubs Should be Pruned in Spring? As the warmer weather arrives, and our plants start to show signs of waking from their winter sleep, we start to wonder how to get the best from them in the coming season. Many flowering shrubs – and trees too – benefit from pruning to stimulate the best display of flowers for our pleasure, but new gardeners can be very confused about what to do. They may have tried before to do a big ‘spring clean-up’ and ended up with no flowers that year on favorite plants. Getting to know some simple rules about pruning is the first step to learning how to do it well, and get the results you want. There are two basic ways of stating what is really the same rule about when to prune, so let’s look at each one in turn and learn more about the mysteries of successful pruning. This is the simplest way to deciding when to prune. It means that flowers that come later in the year are pruned at the beginning of the year. Those plants that greet the new gardening season with a show of blossoms are pruned later, after they have finished flowering. This is a very useful rule; easy to follow, and all you need is an idea of when your plants are going to bloom. It can become more difficult to use with plants that flower more-or-less continuously, but more of that another time. So why does this rule work? To understand, and get a better picture of how to decide when to prune, let’s learn something basic about flowering plants. They can be divided into two groups. Some produce their flower buds along the stems, and often flower before new leaves come out, or at the same time. In spring, buds on our shrubs and trees send out new shoots. These shoots are soft and delicate when they first emerge, but soon harden and darken in color as they mature. At the base of each leaf new buds develop. Some are for the flowers that will bloom next year, and some are for the shoots that will also appear the following spring. So cutting of those branches in spring will remove the flowers that are soon to appear. Other plants also send up leafy stems in spring, that develop over summer, but this time they end in a cluster of flowers buds that soon become a single bloom, or a cluster of blooms. Which leads us to our second way of thinking about pruning. This way of putting it means that if you see flowers on the ends of young branches – new wood – then prune that plant in spring, before new growth begins. If you see flowers all along the old branches – old wood – either when they are bare of leaves, or in the space where the leaves meet the stems, prune those plants when the flowers fade. So the simple answer to the question we started with – which shrubs should be pruned in spring? – is to prune those that flower later in the growing season, and that have flowers at the ends of their new branches. These include Hydrangeas, Crape Myrtles, Butterfly Bush, many Spirea, and to get the best effect from their colored stems or leaves, Smoke Bush and Dogwood Shrubs. Since these later-flowering plants will have the biggest blooms at the ends of the strongest branches, the way to get maximum bloom power is to prune to stimulate long, sturdy branches. To do this, decide on the type of framework you want, and the height you want your shrub to be. Let’s take the Limelight Hydrangea as an example, but we could also apply this to something like a Crape Myrtle. If you want lower plants, then you can cut these plants back to just a few inches tall. If you want taller plants, then leave a framework of branches – two or three or even just one, as a trunk. You can decide how tall you want that framework to be, and it might take a couple of years or even more to develop what you want. Each year, before the new growth starts, cut back to the framework you have, leaving just an inch or two of the shoots that grew and flowered the year before. Remove any weak and twiggy branches completely, and of course any that have died. When you cut, use a sharp pair of pruners strong enough for the job, and ones that make a smooth, clean cut. Look for the scars on the stem, where the old leaf was attached, and cut just above one that is in the right place. Often you will see a small bud at that point – choose one that points in the direction you want the new growth to develop. And that is it. Freed of all those extra buds, all the plant’s energy will go into strong new shoots, carrying beautiful big flowers. If you find the stems grow too long, droop over, and perhaps even break, then next year leave a longer piece of the old stem. You will get more shoots, they will be a little shorter, and the flowers a little smaller, so they will hold themselves up much better. Don’t be afraid to get out and prune those late-flowering plants now – you will be glad you did! Another time, when your spring-flowering shrubs are in bloom, we will talk about how to prune them. Next time, rose pruning, which needs a posting all to itself. If you recently replanted it, you probably moved it when it had leaves on it, yes? That is not a good idea – best to move in fall or spring when the branches are bare. So now your best move is to keep it very well watered – really soak the ground all around at least twice a week. Pruning now is not going to help – there is a myth around that pruning helps avoid transplant shock, but it doesn’t. Even if leaves brown and eventually fall, don’t prune until next spring, when you see the buds starting to swell and open. Then carefully take out all the pieces that are not sprouting, and shorten back the longer shoots by about 25-30%. By this time next year it will be looking great. Yes I replanted the tree when it had leaves on it. I have been keeping it watered hoping the leaves will sprout again before summer ends. I also have moved the mulch back away from the base some as not to another it. I’m hoping by next spring it will be looking great again. I have a beautiful garden and a hobby of keeping everything “green” and bloomed each year. Right now we are out of stock, but it is a tree we have had in the past, and probably will again. Keep checking back, and remember we have lots of other interesting shrubs to choose from if you want to grow something else.